What could it mean for those seeking lucrative contracts on the huge HS2 project? It has recently been announced that David Poole, executive director of commercial and procurement at Highways England, will shortly move to a new position leading procurement and supply chain teams at HS2. This year will prove crucial in terms of procurement for the major infrastructure project, with key contracts to be awarded for work to be carried out on four new stations, new railways systems and, crucially, the contract to build the new state-of-the-art trains to run on the line. His experience will be pivotal to delivering the massive venture on budget and on time. At Highways England, Poole negotiated the business through the significant challenge of moving from the Highways Agency to Highways England, responsible for a yearly supply chain spend of £3.5 billion. His remit included procurement, contracting, commercial assurance, governance and efficiency delivery. He directed the development of supplier relationships and new contract forms, delivering improved supplier safety and cost efficiency. In addition he acted as the lead for Equality, Diversity and Inclusion. He is expected to take up his new role in March. So what might this new appointment mean for potential contractors? We could reasonably expect that Mr Poole will carry over influences in supply chain strategy from Highways England to his new position at HS2. 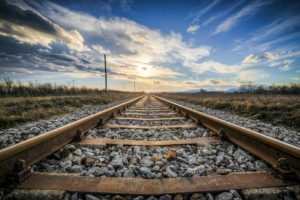 Those seeking contracts on the huge project may benefit from doing a comparative assessment of procurement requirements, HS2 against Highways England, to see where the differences currently lie and possibly predict where changes are likely to be made. Doing so may allow potential contractors to prepare sufficiently for bidding, as changes may be introduced swiftly and bid preparation is vital to bid success, yet highly time consuming. Bidding for rail contracts is highly competitive. Our Bid Management team at Thornton & Lowe have a wealth of experience and knowledge in this lucrative sector, and can offer a range of services, from tender writing to full bid management support. With offices across the UK, we are perfectly placed to assist your company to succeed, wherever you are based. Email hello@thorntonandlowe.com or call us on 01204 238046 to discuss your requirements. In addition, our Bid Training team at Thornton & Lowe will be offering a Rail-Specific Bid Writing workshop in Birmingham in February, for which there are places still available. Please email training@thorntonandlowe.com or click here for more information.